SanDisk announced it has shipped more than two billion microSD cards since it started commercial shipment of the technology ten years ago. The company commemorates this milestone on the eve of Mobile World Congress Shanghai. Invented by SanDisk in 2004, the microSD format was initially known as TransFlash. In 2005 SanDisk contributed the technology to the SD Card Association who renamed and released the final specifications for the microSD format on July 13, 2005. This format has become the most popular removable memory card in SanDisk’s history. Collectively, SanDisk’s two billion microSD cards could store an estimated 11,103 billion megabytes worth of memory – the equivalent of more than 100MB of flash storage for every man, woman and child that ever lived on Earth. The microSD card which reduced the size of removable memory cards by approximately 75 percent has played a most important role in a wide variety of consumer markets. The microSD format has also helped propel the smartphone market by giving both manufacturers and consumers greater flexibility and freedom. Approximately 75 percent of smartphone models on the market today contain microSD slots, according to data from Strategy Analytics. The first microSD cards featured capacities starting at 32MB. SanDisk’s latest microSD form factor card is a microSDXC that offers up to 200GB of capacity, a 6,250x increase in just 10 years. It took three years for CompactFlash cards to reach one million shipments. By contrast, over one million microSD cards were shipped in the first full quarter of availability. 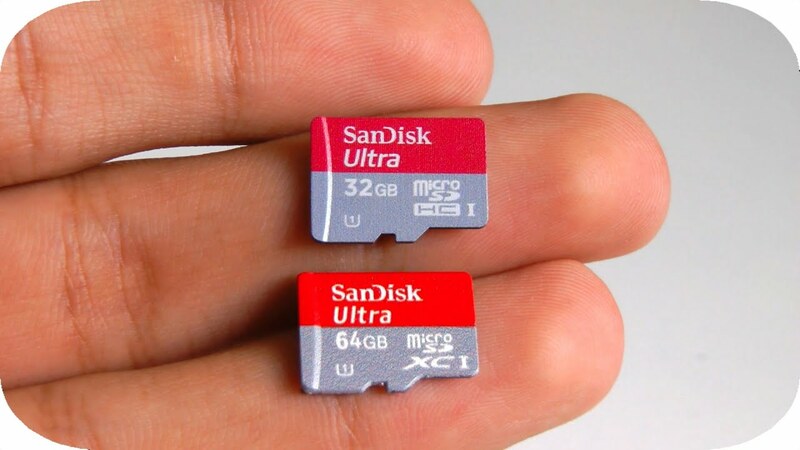 On average, SanDisk has shipped 6.34 microSD cards every second since the formal unveiling of the specifications. If you lined up SanDisk’s two billion microSD cards end-to-end, they would extend 18,451 miles or three-quarters of the way around the world. In 2014, SanDisk announced 128GB SanDisk Ultra microSDXC UHS-I memory card, a twist on the format that enabled the company to vertically stack up to 16 memory die in the same card and expand capacity without changing the footprint of the device. Each memory die in this microSDXC card is thinner than a strand of hair. In 2015, SanDisk introduced the 200GB SanDisk Ultra microSDXC UHS-I card, Premium Edition, a high capacity for the form factor, upping capacity by 56 percent in just one year. SanDisk flash memory cards have held the number-one market share position worldwide for 13 straight years2. With more than 5,000 patents, SanDisk positively impacts many markets through its flash memory innovations. In recognition of its achievements, SanDisk was named a Thompson Reuters 2014 Top 100 Global Innovator, an honor the company has received for four consecutive years.